On our newest episode of Sound Bites, our series about our food and our world, we look to Annapolis to examine the environmental agenda of Governor-elect Larry Hogan, with Peter Jensen, editorial writer for The Baltimore Sun. Note: Due to technical difficulties, the segment with Peter Jensen is unavailable. 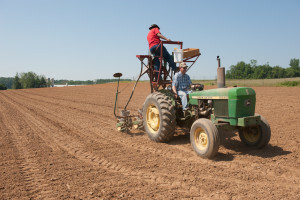 One of Governor-elect Hogan’s first declarations after the election was that he would fight implementation of the Phosphorus Management Tool (PMT), a scientific method of measuring and limiting phosphorus runoff from farms into the waterways. Hogan cited the costs to farmers. Poultry manure, which is rich in phosphorus, is a common-used fertilizer on farms. We host a debate on the PMT, which will be a hot topic in the Maryland Legislature, in our Lead Up To The Annapolis Summit. With: Eric V. Schaeffer, Executive Director of the Environmental Integrity Project and former Director of Civil Enforcement at EPA; and Kevin Anderson, President of the Somerset County Maryland Grain Producers Association. Join me on January 30th at the Governor Calvert House in Annapolis for the 12th Annual Annapolis Summit, in partnership with The Daily Record. I will interview Maryland’s top political leaders about issues in the Maryland 2015 Legislative Session, including Governor-elect Larry Hogan, Senate President Mike Miller and House Speaker Michael Busch. For information, tickets, and sponsorship opportunities, go to www.thedailyrecord.com/Annapolis-Summit or call Clare Sheehan at 443-524-8101 or email clare.sheehan@thedailyrecord.com. We close out the show with a look at 5 Global Food Trends of 2015, with Dr. Wayne Roberts, former manager of Toronto Food Policy Council and one of the people who inspired Baltimore’s food policy council. Dr. Roberts is one of Canada’s leading food policy analysts, regular columnist for Rabble, and author of Food for City Building.